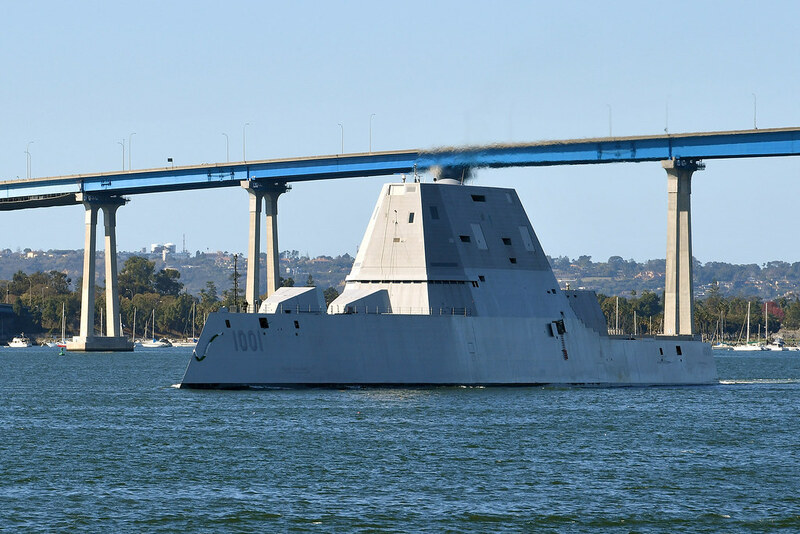 SAN DIEGO - The Navy’s newest Zumwalt-class destroyer, the future USS Michael Monsoor (DDG 1001), will be commissioned at 10:00 a.m. on Saturday, Jan. 26 at Naval Air Station North Island. DDG 1001 is the second Zumwalt class destroyer to enter the fleet. It honors Petty Officer 2nd Class Michael Monsoor, a Navy SEAL who was posthumously awarded the Medal of Honor for his heroic actions in Ramadi, Iraq, Sept. 29, 2006. At the ship’s 2008 naming ceremony, former Secretary of the Navy, Donald C. Winter recognized Monsoor as, “a consummate professional who faced terrorist enemies with aplomb and stoicism." Zumwalt-class destroyers maximize stealth, size, power and computing capacity, fielding an array of weapons systems and cutting-edge technologies to fight forces in the air, on and under the sea, and on land. The ceremony will be live-streamed on the U.S. Pacific Fleet Facebook page, Twitter account and at: http://www.navy.mil/ah_online/live/ah-live.asp.